It’s Your Wedding… and Albert River Wines is the perfect venue to make it an amazing and memorable occasion for you and your guests… because our aim, is to ensure your day is the best day of your life. Albert River Wines offers a choice of Ceremony locations, including two beautifully appointed Garden Gazebos, the ornately restored Vineyard Chapel, which can comfortably seat up to 120 guests or actual Vows amongst the Vines, where you can pledge your love surrounded by the beautiful ambience of lush grape vines and the panoramic Mountain Views (just perfect accompanied by a solo instrumentalist). 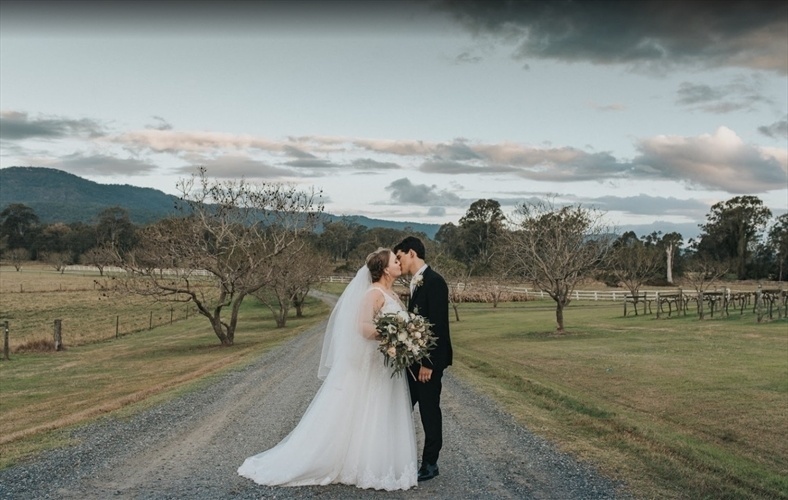 Our exquisite and Historical reception venues, Auchenflower House Ballroom or Tamborine House Verandah boast remarkable 1800’s architectural design, each with sweeping views of the vineyard, manicured gardens and the Mountains of Tamborine beyond. Timeless in their beauty, these rooms have provided romantic receptions for hundreds of happily married couples for over 100 years. With the convenience of providing your Ceremony, Photographs and Reception within the one venue, and the flexibility of working with you to create the wedding of your dreams, beit a Luncheon, Dinner or Cocktail affair, small or large numbers at mid-week or weekends, Albert River Wines is willing to go that extra mile to guarantee your big day is a success. Boasting remarkable 1800’s architectural design, with sweeping views of the vineyard, manicured gardens and the Mountains of Tamborine beyond. Timeless in it's beauty, this rooms has provided romantic receptions for hundreds of happily married couples for over 100 years. With the convenience of providing your Ceremony, Photographs and Reception within the one venue, and the flexibility of working with you to create the wedding of your dreams, beit a Luncheon, Dinner or Cocktail affair, small or large numbers at mid-week or weekends, Albert River Wines is willing to go that extra mile to guarantee your big day is a success. Boasting remarkable 1800’s architectural design, with sweeping views of the vineyard, manicured gardens and the Mountains of Tamborine beyond. Timeless in it's beauty, this room has provided romantic receptions for hundreds of happily married couples for over 100 years. With the convenience of providing your Ceremony, Photographs and Reception within the one venue, and the flexibility of working with you to create the wedding of your dreams, beit a Luncheon, Dinner or Cocktail affair, small or large numbers at mid-week or weekends, Albert River Wines is willing to go that extra mile to guarantee your big day is a success.